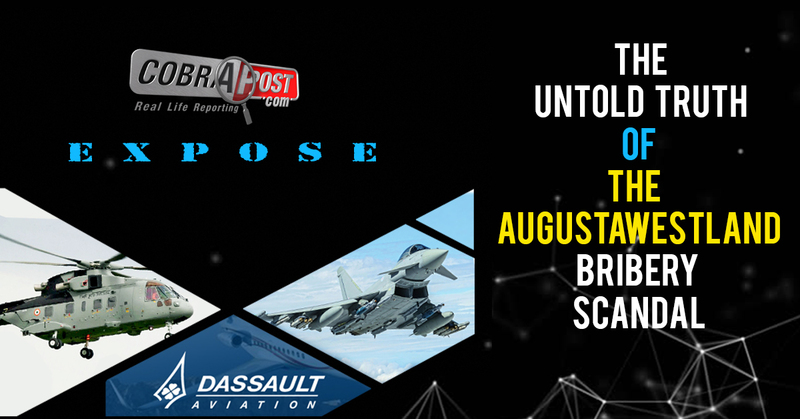 ﻿ :: Cobrapost ::	::Is the Enforcement Directorate being misled as to the role of Sushen Gupta, the secretive defense agent of both AgustaWestland and Dassault? Is the Enforcement Directorate being misled as to the role of Sushen Gupta, the secretive defense agent of both AgustaWestland and Dassault? Cobrapost has got exclusive access to two handwritten diaries of the defence agent Sushen Mohan Gupta, along with loose sheets containing notes, and other documents which prima facie link him to both AgustaWestland and Rafale deals. In fact, they identify him as the kingpin of both deals. These documents provide insight into the money trail of kickbacks. They have exhaustive notations on amounts paid to different people for defense deals and details of other businesses. Corroborative and incriminating in their nature, these documents nail the agent as the mastermind who crafted the chopper scam pulling all the strings from behind the scene, using a slew of shell companies and front men. Part 3 of our expose will contain a detailed analysis of the diaries. 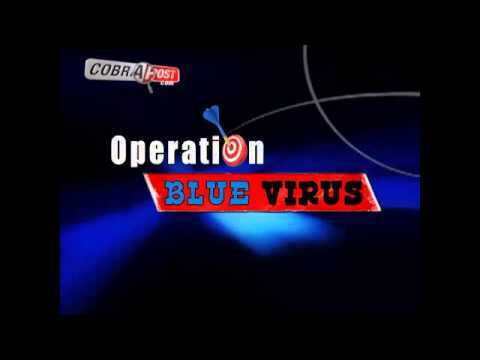 Cobrapost has already done a preliminary forensic study by a reputed third party, which strongly suggests that the hand writing is indeed that of Gupta. Cobrapost has in its possession true copies of the diaries and other documents. The pages have been certified as true copies by Clyde & Co LLP, Dubai’s biggest law firm. The reporter himself has seen the original diaries though they are obviously not in his possession. The contents of the diary show that Gupta is the defense agent for both AgustaWestland and Dassault (Rafale). When confronted with a question on the diary Gupta hung up. Cobrapost has sent him a detailed questionnaire by WhatsApp and email, which he has seen, but, we are yet to receive a response. New Delhi: In a first of its kind, Cobrapost has got an exclusive access to two handwritten diaries, which appear to belong to defence agent Sushen Mohan Gupta, along with other incriminating documents in the form of loose sheets with handwritten notes, some of which are signed. This throws new light on the ongoing Enforcement Directorate (ED) investigation into the AgustaWestland helicopter bribery case and the role Gupta might have played in the highly controversial Rafale aircraft deal as well. In fact, Gupta emerges not only as the kingpin of the murky chopper deal but also as the deal-maker in the Dassault Aviation’s fighter aircraft deal, owing to which the BJP government at the centre has found itself caught in the eye of the storm which refuses to die. These documents also indicate his association with Gautam Khaitan, who is alleged by the ED to be involved in clandestine defense deals. These documents also show his association with a slew of companies, IDS Technologies, Aeromatrix, Interdev and Interstellar Technologies of Mauritius, through which, it is alleged by CBI and ED, proceeds of the crime have been routed. In fact, Khaitan, an accused in the case, was arrested again last Friday in this case by the ED. He was arrested in September 2014 for his alleged involvement in the AgustaWestland deal and was granted bail in January 2015. The CBI arrested Khaitan again, along with Sanjeev Tyagi, in December, 2016. These documents detail the bribes paid to private individuals and public servants, disbursal of payments, personal musings and other facts. It appears from the documents that ED is being misled in its investigation into the AgustaWestland case. These documents rather suggest both investigative agencies have failed to see through the cobweb of deceit Gupta has woven around to camouflage his role in these deals. Cobrapost has been able to deconstruct what looks like a jigsaw puzzle. Initially, though, the ED had, in its complaint, alluded clearly to the role Gupta had played, along with one of his family friends, in the crime. Curiously the authorities let him go after recording his statement. With the extradition of Christian James Michel, the arms broker from UK, who helped AgustaWestland of UK bag the more than Rs. 3,700 crore deal in February 2010 to supply 12 choppers to Indian Air Force (IAF) for VVIPs, the spotlight is once again on what came to be known as Choppergate. To recall, the scam broke in 2013 when Italian police arrested Giuseppe Orsi, the former president of Finmeccanica, for allegedly paying bribes to bag the chopper supply deal. AgustaWestland SpA was formed in January 2004 when Finmeccanica of Italy and GKN of the UK merged their helicopter subsidiaries, respectively, Agusta and Westland Helicopters, to become an Anglo-Italian multinational. 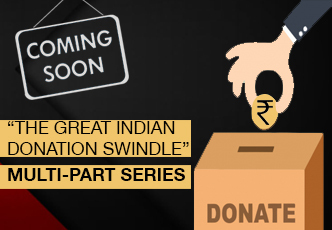 Moving swiftly, as the din over the kickbacks became shriller, the UPA government ordered a CBI inquiry, while cancelling the contract and forfeiting bank guarantees AgustaWestland had furnished. AugustaWestland SpA has initiated arbitral proceedings against cancellation and the government has challenged the same in Delhi High Court. Michel’s extradition might have given the BJP government some self-congratulatory latitude and some grist to grind in public to deflect attention from the Rafale controversy. The revelations these diaries and documents make may lead to the opening of many cans of worms to the discomfiture of both the central governments, present and past, and the investigative agencies. The start date of Diary 1, as noted on the first page, is May 1, 2008. Running into more than 200 pages, including some stapled notes on some of the pages, it has loose sheets enclosed at various points. More than 11 pages in the diary have specific references to AgustaWestland and VVIP helicopters. At least 27 pages have clear references to Pratt & Whitney, the aerospace company which supplies engines for the AgustaWestland Helicopters. In fact, India Avitronics, a company founded by his grandfather Brij Mohan Gupta, has an association with Pratt & Whitney as their India agents going back to many decades. Dassault and Rafale jets find references in more than 10 pages. Khaitan and his firm OP Khaitan find references in over 20 pages, whilst IDS, Interstellar and the Guptas’ other overseas companies (including Sabbah and various Mauritius companies and accounts) are referenced in more than 7 pages. There is one clear reference to Tyagi in this diary. What further substantiates this diary to have been authored by none other than Gupta himself are detailed references of his family hotel and mall projects in dozens of pages. Accompanying loose sheets (including payment instructions) appear to have been signed by Gupta himself. Diary 2 has June 1, 2010 as its start date as noted on the top left-hand corner of this diary. Slightly smaller in size, but still running into more than 200 pages (again some of which have post-it notes and smaller pages stapled on in sections), this diary too contains a few references to the AW deal (including minutes of a meeting where the cancellation of the deal is discussed with someone who appears to be a representative of Pratt & Whitney), a further 6 pages of references to Pratt & Whitney and at least 5 pages clearly mentioning the Dassault deal. Besides, Gautam and OP Khaitan again find over 24 direct references, while IDS and his other overseas companies are mentioned over 5 times. Here again, there is a page bearing Gupta’s full signatures along with a number of others he has initialled, with over 10 pages detailing various aspects of works done on his hotel and mall projects. All these references and his signatures establish his authorship of this diary as well. Interestingly, Diary 2 has over six pages with clear references to the Tyagis, including references to ‘Old Tyagi’ and ‘New Tyagi’. Although we don’t know in which context Sushen Gupta has made these entries, as they are subtle at times, yet they speak volumes about his nexus with the top decision makers in the government and the IAF. An entry made by him bears such names as Tyagi, RIL, VK Mishra, RK Sharma, Pallam Raju, V Krishna Murthy, VV Singh. Another entry has “Tyagi vs. Deshmukh”, while we find the names of Subhanand Rao and Nayak. We find names such as SK Kaul, AVM Zappo Sinha (ACAS Plans), Kapil Kak and Asthana, among others in one entry. In this entry, Sushen Gupta also notes, “MoU critical. Sun S close to BJP.” Two entries draw attention in one such page. “Why only IDS,” asks Gupta in one entry, while he says “Lock down with RIL approval/Equity stakes IDS engg srcs” in the next. Cobrapost will provide a detailed analysis of the diaries in Part 3 of this expose. However, it is not Cobrapost’s contention that the mere appearance of a name in these diaries means there are negative connotations for the persons concerned. The agencies will have to interrogate Gupta to get at the truth and even corroborate what is written there. But the diaries certainly suggest that Gupta should be investigated further by investigative agencies to decode the diaries in depth and arrive at the truth of the AgustaWestland bribery scandal. As mentioned earlier many pages of the diary show payment amounts against names. Another interesting entry refers to IDS planning and joint venture with RIL and DMG. In one entry, we find Gupta’s meeting points with regard to the AW contract. One point says, “We are sales, lobby and strategy not necessarily collection agents but we do our best.” Now, his entries get more interesting and curiouser. At one place, he underlines his concern with regard to AW contract saying, “MPs have taken objection to this matter seriously. Matter is lying with DG/DS. Parliament starting 17th matter will be raised support vv imp.” Making some finance notes, the next entry refers to AW. In another entry worth mentioning, we find Gupta referring to aviation matters of AW, STE and Avitronics, among others. But enough of a teaser about the diaries! You will read about them in detail in Part 3 of our expose. 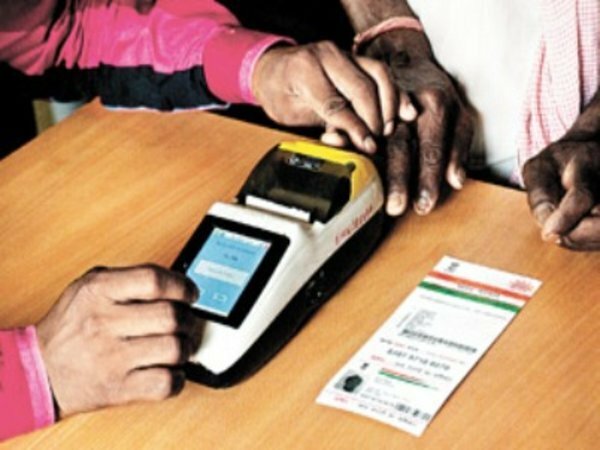 From the start of this probe by both the CBI and the ED, as has been enumerated in the chargesheets and complaints filed by each of them, respectively, the premise of the agencies has been that IDS was contracted by AgustaWestland to provide IT services at inflated rates and that the surplus funds from these transactions flowed from IDS to Interstellar in Mauritius. Further, from Interstellar payments of bribes were made to a series of beneficiaries and the surplus after paying such gratification was retained by the real beneficiaries of Interstellar. The Cobrapost investigation, unlike the complaint filed by the ED, clearly shows the main beneficiary of Interstellar is Gupta. Actually, he is both the controller and the main beneficiary of the Mauritius-based company. It would be worthwhile here to put the focus on Gupta’s statement to the ED regarding his relationship with Interstellar and Interdev Private Limited, Singapore (Annexure 1). However, the truth is far from this as these handwritten diaries and notes on loose sheets show. These documents clearly indicate Gupta was the controller as well as principal beneficiary of both Interstellar and Interdev. In addition, these documents suggest his association with IDS, Gautam Khaitan, a certain arms dealer described by his initials AV only and above all Dassault Aviation. A statement in excel sheet, bearing Sushen Gupta’s name, shows revenues generated by IDS in several defence-related projects and share of AV and payments made to him (Annexure 2). The sheet indicates Gupta was using IDS as early as in 2004 to raise invoices and receive payments from various defence companies for software services. It also indicates that in some of these projects, Gupta collaborated with other agents such as AV. In addition, these documents establish the business relationship of Dassault Aviation with IDS and Interstellar and thereby linking the Gupta family to both Dassault and AgustaWestland. Further, they indicate that both IDS and Interstellar have been used by the Gupta family for their business with Dassault and AgustaWestland. Another signed document, where Gupta refers to Gautam Khaitan as GK, is a statement of interest paid to American Hotels and Indian Avitronics (Annexure 4). Incidentally, the ED has also relied on a piece of paper in its chargesheet before the PMLA court where Khaitan’s handwritten statement of account shows entries of amounts paid to individuals (Annexure 5). This one-page statement dated October 14, 2009 shows GK (Gautam Khaitan) having been paid €30000 (GK fees), €50000 (commission, advance), €13750, Guido having been paid €50000, Singapore having received €150000 and €50000 and Mauritius €10000. And so on. There is another entry of interest saying “– 20000 (Yes money*)”. The asterisk is explained, as noted on the left-hand side of the page, “Subject to verification of any offer exit after Yes Money*.” The sheet also has a handwriting verification done possibly by the ED officer on the spot. It says: “This handwriting pertains to Shri Gautam Khaitan to whom I have seen writing many papers and hence I am able to identify this properly.” This was written by a certain Manish Jain and bears the date 29/05/2018. In another handwritten statement (Annexure 6A) titled ‘Singapore’, Khaitan refers to IDS. This sheet is dated 20/9/06. In yet another handwritten statement of account (Annexure 6B), we find the author making details of transactions. In this sheet dated 27/12/08, Khaitan mentions “IDS (3rd payment) and “INTER (MRU)”. Also, “Transfer to Inter”. The sheet is full of details of payments. A list of remittances made from the account of Interstellar between January 2003 and April 2004 makes the relationship between Gupta and Interstellar clear. The beneficiaries appear to be Gupta and his father-in-law D. MUNOT (Annexure 7). The “Beneficiary” also includes names of City World Wild Limited, Citation SA. Interestingly, in its third supplemental complaint, the ED annexed a number of documents which include documents recovered by them during their searches and the subsequent seizures and also include the statements taken by them from various persons. For instance, there is an unsigned Purchasing Agreement Dated 27/2/2004 between Interstellar and Interdev (Annexure 9). In the preamble of this agreement, it is mentioned that Dassault and Interdev have entered into a purchasing agreement dated 21/01/2004 for purchase of hardware, software and associated services. It further states that Dassault has given Interdev the right to subcontract such services to Interstellar. It should be noted that this document links Dassault not only with Interdev, which has made a substantial equity investment with DM South (a company substantially owned by Gupta, his family and his in-laws the Munhot family) but also with Interstellar which further evidence shows was controlled by Gupta, and from which most funds have been applied as per his instructions. These documents have been recovered from Khaitan and his employee Deepak Goyal. Then there is a consultancy agreement between Interstellar and Blue Island (Annexure 10), executed between Blue Island Company Limited Director Simon and Interstellar Director Ismail Bahemia, which has been mentioned in the annexures to the complaint filed by the ED. In this contract, it is mentioned that Blue Island has retained Interstellar, which is in the business of providing consultancy and management services, to provide services to it for a consultancy fees to be paid as is agreed between the parties. Bahemia, very strangely, was never investigated by the ED. This fact too has never been questioned by the investigative agencies. This further suggests that the records of the company in Mauritius may have been tampered with to provide a false trail on the ownership and management of Interstellar. It is surprising to note that Bahemia has never been mentioned in the reply to the letter rogatory sent by the Republic of Mauritius to the Indian Government. The entries made in the documents and handwritten notes accessed by Cobrapost show Gupta’s association with Khaitan, IDS and Interstellar Technologies. 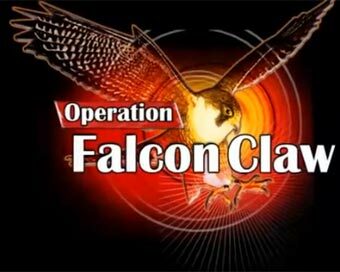 It shows that that he may have been the mastermind in the AgustaWestland chopper bribery scandal. Gautam Khaitan of O.P. Khaitan & Co, who has been made an accused by the ED for laundering the proceeds of the crime money, was for all intents and purposes Gupta’s front man who acted at his behest and operated Interstellar Technologies, a shell company working out of Port Louis in Mauritius. ED is at an advanced stage of investigation. But the fact that Gupta has been let off indicates either that ED’s investigation is sloppy or that ED is being misled. The reason is immaterial, since it appears that a powerful defence broker’s skin is being saved from the heat of Augusta Choppergate. One may also question if the reason for not going after Gupta has to do with avoiding a connection being made to Dassault and the Rafale deal? Is this a case where the ED has been camouflaging the role of Gupta and reversing its own earlier findings with regard to him? The documents accessed by Cobrapost indicate that Gupta and Khaitan may have made false statements to ED to mislead the investigation. However, documents in the possession of Cobrapost clearly show that IDS was in existence in 2004 and was the vehicle used to provide software services to Dassault. We must make it clear that Cobrapost is not in possession of the original diaries. This reporter has seen the originals under supervision and was given scanned copies of the same. At the request of the source, the identity of the person in possession of the diaries and notes is not being revealed presently. The preliminary forensic analysis has been conducted by a third party using the copies of the diary and the copies of handwritten statements of Gupta and Khaitan given to the ED. The entire handwritten diaries have not yet been examined by the forensic expert, but, the examination of some pages of the diaries indicates that it is Gupta’s handwriting. Some of the copies of the loose sheets have also been examined and as of now it is revealed that they contain handwriting of both Gupta and Khaitan. 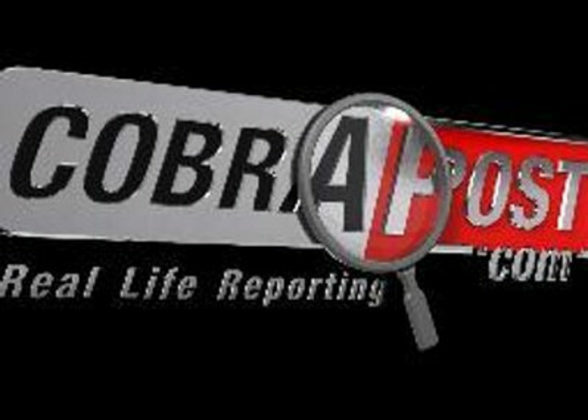 Cobrapost, if called upon, is willing to handover the copies of the documents in its possession to any investigating agency and participate in the investigation. We tried to contact Sushen Gupta over phone but he hung up. After that we sent him a detailed questionnaire via email and WhatsApp. He read the WhatsApp messages but he has not relied to our questionnaire as yet. As in the case of Gupta, Khaitan too has undertaken that “I have been explained the provisions of Sec 50 of PMLA and I have understood the same. I have understood that making off false statement is punishable under the Act. I therefore undertake to state the truth only. I have also been explained this statement of mine can be used against me or any other person as per the law.” But these documents clearly indicate that he has misled ED. In its complaint lodged with the Patiala House PMLA Court in November 2014, the ED made Gautam Khaitan and his wife Ritu, Gerosa Carlo, Haschke Guido and Aeromatrix Info Solutions as accused. In its first supplementary complaint filed on November 30, 2016, the ED authorities added Christian James Michel, Media Exim Pvt. Ltd, a shell company founded by Michel, his Delhi-based associate R.K. Nanda and his partner in the shell company, J.B. Balasubramanian to the original list of accused. Nine months down the line, in their second supplementary complaint, however, the ED officials had some more names to add to this list. But between these supplementary complaints, the ED filed another complaint with the PMLA Appellate Tribunal on November 22, 2016 after the authorities had conducted searches in June that year. In this complaint, the officials defined the role Gupta and Mrs C.L. Poddar, who owns two Mauritius-based companies, played in the crime. Referring to the email correspondence retrieved from the laptop of a Khaitan’s employees, the ED avers, to quote the complaint, “Sushen Gupta is the effective controller of M/s Interdev Pvt Ltd, Singapore. He is giving instructions on email regarding transfer of funds, from M/s IDS, India to M/s Interdev Pvt Ltd, Singapore.” Talking of the recovery of invoices of Interstellar Technologies raised upon Interdev, the complaint further suggests his culpability, “It is believed that Sh. Sushen Gupta may be instrumental in laundering the proceeds of crime by routing it through M/s Interstellar Technologies Ltd.” But, Gupta has not yet been made accused in the case. 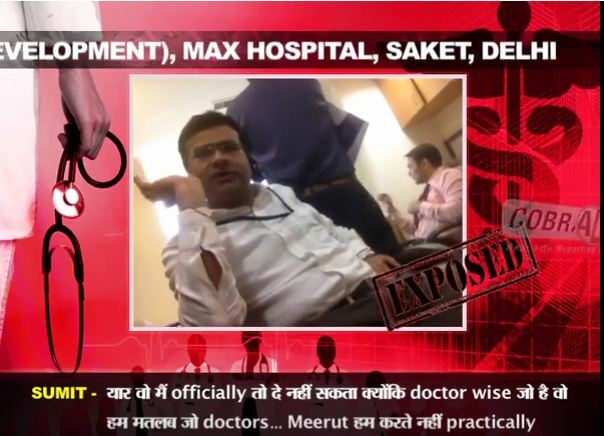 The ED complaint made similar observations about Poddar, who is a client of Khaitan and a friend of the Guptas. In the course of investigation, the ED officials had stumbled upon invoices raised by Amba Investment and Shiver Commodities & Trading, owned by Poddar, to M/s Interstellar Technologies. “It is believed that Mrs. CL Poddar may be instrumental in laundering the proceeds of crime by routing it through M/s Interstellar Technologies,” observes the ED. The ED officials had during the course of search operations conducted on the premises of DMG Finance & Investment, a company collectively owned by the Guptas, Dev Mohan, Sushant Mohan, Trupti, Shubhra and Sushen Mohan, at Narain Manzil, Barakhamba Road, New Delhi, discovered that DM South India Hospitality, another company owned by the Guptas, had allotted 8,500,000 shares to Dev Bhalla of Sabbah Investment Ltd. against an investment of Rs. 34 crore. The ED issued a freezing order against these shares to Bhalla and Gupta under Section 17(A) of the PMLA. Sabbah Investment has also invested a sum of Rs. 17,16,68,000 in Indian Avitronics owned by the Guptas way back in 2008. Despite such evidence, the ED officials have chosen not to make Gupta, his father-in-law Dinesh Munot and C.L. Poddar, who are the largest recipients of funds transferred from Interstellar Technologies, as accused so far. The CBI too in its investigation failed to make much headway in making the connection between Gupta and both Interstellar Technologies and IDS. Though, the CBI in its charge sheet made a clear case to establish that kickbacks were paid and one of the beneficiaries was Khaitan. Para 98 of the charge sheet gives a detailed analysis of how the scam was brewed. Interestingly, if we go back more than three decades (1986) and read a report by Ramindar Singh and Inderjit Badhwar published in India Today, the link of the Gupta family’s business relationship with AgustaWestland is well established (https://www.indiatoday.in/magazine/cover-story/story/19860915-lobbying-for-defence-contracts-is-hard-core-brutal-and-uncompromising-801221-1986-09-15). Report tells us how the cloth-merchant-turned defence-agent Guptas have been an old hand in the business in India ever since their family patriarch Brij Mohan Gupta founded Indian Avitronics after the Second World War. The Guptas made their fortunes by procuring aero engines and spare parts largely for Air India and Indian Airlines Boeing planes and becoming India representative of many defence companies, one of which was the UK-based Westland Helicopters, manufacturers of Sea King choppers. Further, a news report, published on May 4, 2016 by Intelligence Online, an independent corporate intelligence news portal widely read by intelligence fraternity across the world, titled “Intelligence Online sources in New Delhi says that the Rafale contract could be signed before the end of May” (Networks Progress Indian Rafale Deal: https://www.intelligenceonline.com/corporate-intelligence_the-red-line/2016/05/04/networks-progress-indian-rafale-deal,108147427-art) gives a peep into the influence that the Guptas enjoy in Delhi’s corridors of power. The piece suggests that they have their fingers in every single defense deal, be it the AgustaWestland chopper deal or Dassault’s Rafale deal. To quote the piece verbatim: “Before the end of the spring, the Indian defence minister could resolve the final issue before signing a Euros 7.8 billion order for 36 Dassault-built Rafale fighter aircraft. The Indian military is under intense pressure to conclude the deal by the leaders of the ruling Bharatiya Janata Party (BJP), the office of the Prime Minister Narendra Modi and the National Security Advisor Ajit Doval, all of whom are amazingly keen on the French deal. But the French companies on Team Rafale have been going all out to woo the ruling party. Thales made sure it had the support of Dev Mohan Gupta, who heads Indian Avitronics, a small defence company. MBDA meanwhile has relied on Deepak Gupta, the head of Ubico Private which is already the missile manufacturer’s partner on the Miarge retrofit contract/project (IOL 756).” A couple of weeks later, true to the assessment of this news report, the BJP government inked the Rafale deal with Dassault Aviation to provide 36 fighter aircraft, at an escalated price of €7.8 billion and without technology transfer, which has become a bone of contention between the opposition and the government. The original deal negotiated by the then UPA government was for 126 aircraft for a price of US$12 billion. In view of the discovery of this recent evidence and the reversal of its own findings, the ED flip-flop begs a question: What is the ED upto? Disclaimer: Cobrapost is not in a position to verify the chain of custody of the handwritten diaries and the loose sheets. We are publishing this information in public interest, after having got a preliminary forensic analysis by a third party, so that the persons truly responsible for the defence scams may be investigated and prosecuted by the relevant agencies. We hope that investigative agencies will look into this and conduct a thorough probe to verify the authenticity and veracity of the documents.